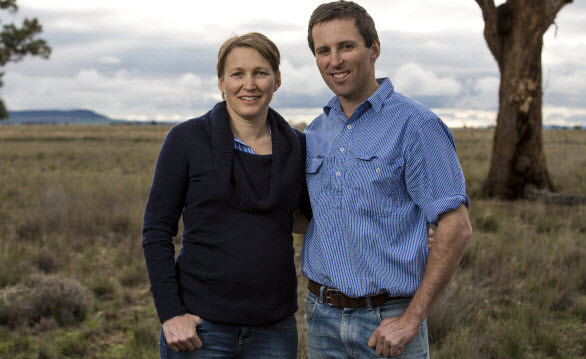 We are Derek and Kirrily Blomfield and we are all about nourishing you with the grass fed beef we produce. Our name – The Conscious Farmer – reflects how we farm. We truly consider the impact of every decision we make. We think consciously about the soils and water of our farm and the wider environment. We care passionately about the quality of our beef products and how our grass fed beef will nourish your family and our family. We also consider our local community, the finances of our business and the impact for those who will farm the land after we have gone. It’s a holistic approach. Regenerating our farmland, soils & pastures by working with nature is really important to us. We care for our cows and have fun while we farm. 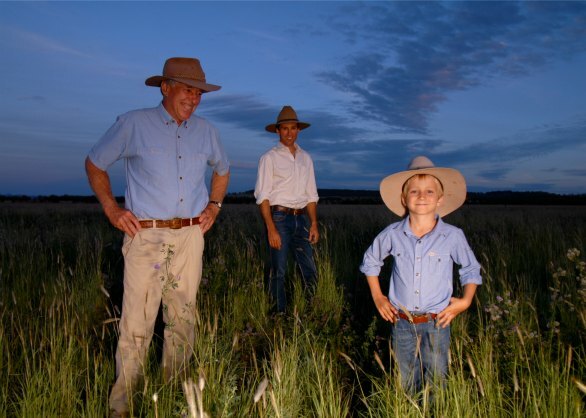 Together with our sons Patrick and Reilly, we run our family farm on the fertile and beautiful Liverpool Plains in northwest New South Wales, Australia. Our farm spans the black soil plains, the slopes and the hills that overlook the region. Derek’s father Sandy is also part of our business and helps with the day to day workings of the farm. Derek’s grandparents came to our farm in 1946, but a fair bit has changed since then! We love having a family farm business and the variety and fulfilment it brings, but we don’t deny that there are some challenges along the way! We manage our farm with the aim of regenerating the soils, pastures and the biodiversity. We do this by using Holistic Management grazing principles. This helps us to keep our soils covered with plants and plant material (like a garden mulch), which helps us have better rainfall infiltration and clear water runoff. It also encourages natural tree regeneration, greater biodiversity and helps in drought proofing our farm. We want to support as much diversity on our farm as possible – diversity of plants above the soil and diversity of biology and microbes under the soil. We would even love to have more diversity in our productive species (as well as cows), but that’s another story! 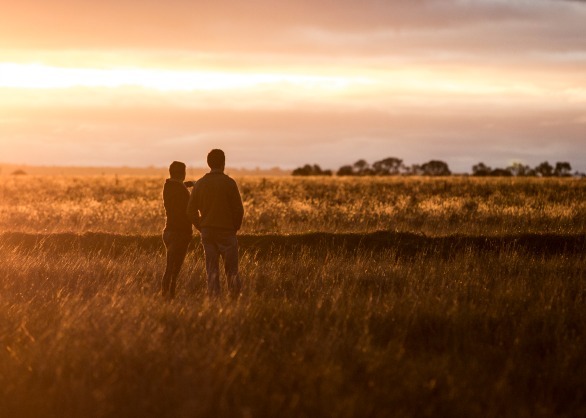 This doesn’t mean it’s all hunky dory – we are still challenged with trying to grow more and better pastures among increasingly variable weather, but we’re always doing our best. 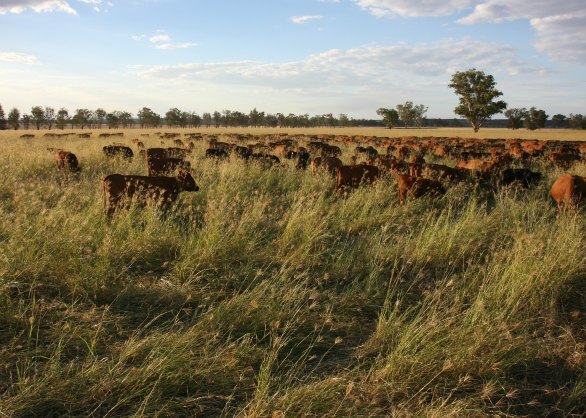 When we can, we graze our cows with higher density and in smaller paddocks. This allows mob impact on the ground and soil – chipping the soil surface and stimulating the germination of new plants and the bashing down of old organic plant material to the soil, where it provides organic matter, insulates the soil and helps prevents weeds germinating. The paddock is grazed more evenly, resulting in manure across the whole paddock – fertilising the ground while not souring any concentrated areas. Animals are moved on to new paddocks before the plants regrow. This ensures that the plant regains its energy stores before being re-grazed and results in a much more robust plant for next time. Grazing like this is perfectly natural for social animals. In fact, the concept is born out of the traditional movements of game animals across the range lands all around the world. This is how the deep fertility that was once so prevalent on the Great Plains of North America is believed to have been created. We think that is very cool! Carbon is a huge component of healthy soils. It helps to store more soil moisture, soil nutrients, supports better soil structure and helps increase rainfall infiltration. 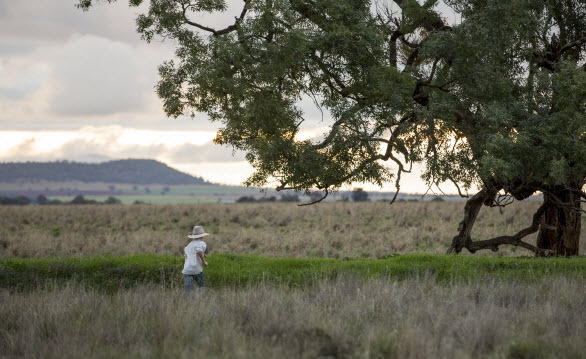 The problem is, much carbon has been lost from Australian soils. The beauty of working with nature’s mineral cycles is that when done well, we can put carbon back in the soil where it belongs, which is good for the soil and good for our climate. The plant sugars that are pushed out the roots and into the soils to support the microbiology for mineral exchange with the plant, contain carbon. The microbiology of the soil help by placing this carbon in a stable place and state in the soil, but this can only happen with a diversity of soil microbes, which are supported by a diversity of plants. You can understand however, that if the flow of plant sugars to and out of the roots is interrupted (through chemical fertiliser use), then carbon cannot get to the soil this way. This might help you to understand why we choose to work with nature and to have diverse pastures on the farm! 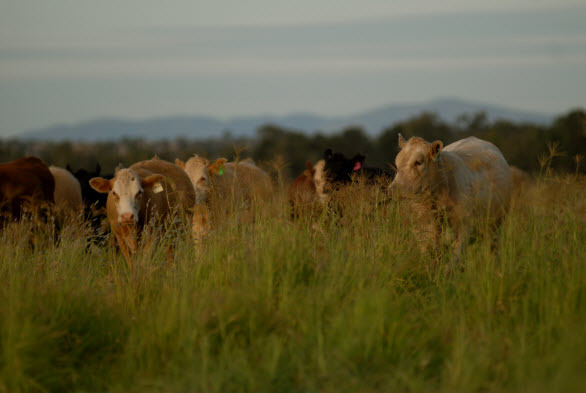 But it’s not just about the soil – it’s about the health of the pasture that the cows feed from, which in turn has positive effects on our health when we choose to eat consciously produced grass fed beef. We manage our cows ethically and humanely. They graze contentedly in a low stress environment on open, free range pastures. We have learnt, and practice the Bud Williams low stress stock handling principles. Cows have a ‘bubble’ around them – it’s a bit like our personal space. When anything is in this bubble, it makes the cows a little uneasy. So it’s about being aware of this ‘bubble’ and handling the cows appropriately given this understanding. We want a safe, happy place to work and live, so having happy cows in our paddocks helps us to achieve this. We genuinely care about our animals and of course, always ensure they have plenty of clean, clear drinking water and plenty of pasture to graze. Diversity in our pastures is good for the environment, but it is also good for the animals and the health qualities of the grass fed beef we produce. Healthy robust cows mean nourishing grass fed beef, which in turn affects the health of those that choose to eat it! Plants contain secondary compounds like tannins, polyphenols & alkaloids (and other strangely named compounds) that are like nature’s medicines. There needs to be a diversity of plants however, to provide a variety of these compounds in order to contribute to the animal’s overall health. This is one of the reasons why we choose to grow diverse pastures, instead of single species crops for our cows. We want to be profitable in our farm business, while still achieving our goals of regenerating the landscape. We aim to always be in a position that our children can join the farm business if they so choose, whilst still maintaining its profitability for all. We consider the tripple bottom line of our business; that is the environmental, social and financial performance of our activities. We think of ourselves as custodians of the land, we owe this care to every future generation that will live from it, whether that is our family or yours. We spend our days checking and moving cattle, assessing pastures, moving portable water & fencing, assessing the health & well being of our cows and always thinking of ways to grow & improve our business. And of course, we’re always thinking of how best to connect with you, our customers. 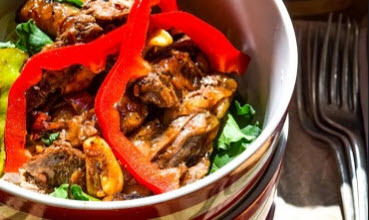 Our beef hampers give you lots of ways to try our grass fed beef for yourself. Our 10kg Nourish hamper is ideal if you have a small freezer, while our 10kg Classic Steak hamper or our 14kg Premium Steak hamper might be perfect if you love a BBQ. There are plenty of options & we know you’ll love the taste difference. I wanted to say thanks for the delivery , got home on the weekend and wow so impressed and the information card is so useful I really appreciate it . 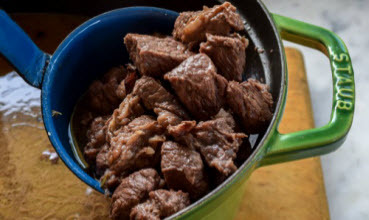 Derek, thank you for that wonderful mention in your newsletter, I’m going to tweet, Facebook and forward to all my contacts and encourage them to buy their beef from you. A great newsletter to go with the fantastic product you deliver to our doors. There is no better way to buy beef. Words fail me. Move over Masterchef. 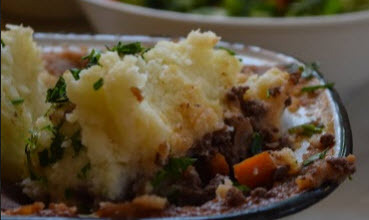 Without a doubt Derek and Kirrily’s wonderful grass-fed beef is the most outstanding meal I have cooked and enjoyed in a long time. We are totally converted as to the benefits of this amazing farm!! Get on board everyone.